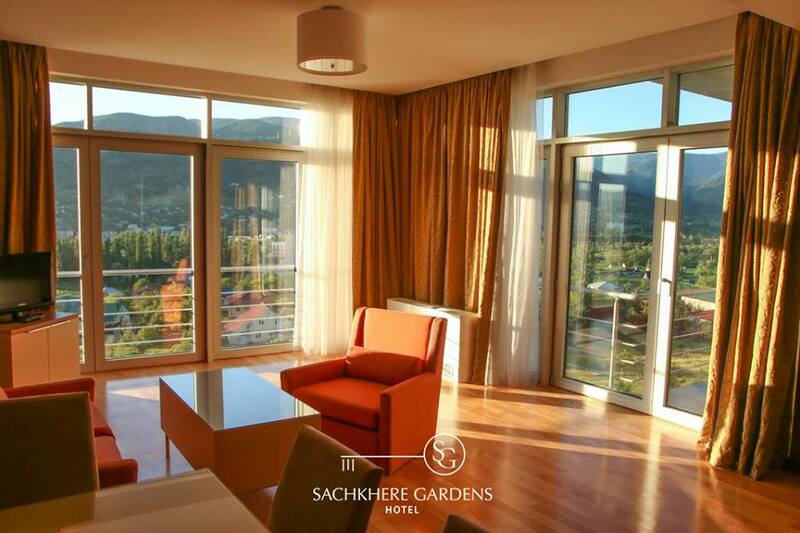 The Sachkhere Gardens Hotel, while a huge building in the otherwise beautiful natural landscape, offers all the elegance and charm of a private home in the heart of Imereti. The rooms feature air conditioning, a mini bar, free Wi-Fi and a flat-screen TV while bathrooms come with slippers, bathrobes, bath accessories, towels and a hairdryer. There are 52 rooms in total, among them 12 Queen Apartments with 1, 2 or 3 bedrooms and 1 King Presidential include a kitchen and kitchen accessories. A Continental or French breakfast is included as is wake up call and one free laundry use. The hotel also boasts a Fitness Hall and its restaurant serves Georgian and European cuisine. 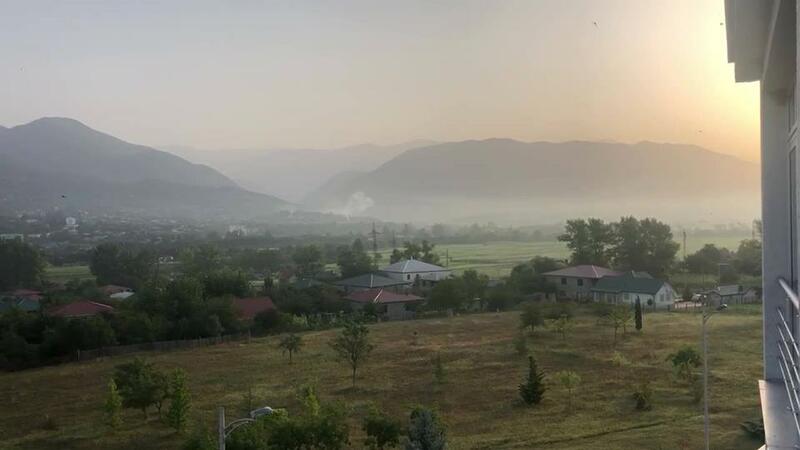 Nearby sights include the ruins of the medieval Modinakhe castle, the Bronze Age burial grounds of Chalkhill and Sachkhere village on the Kvirila River.